Fragrant prep for more effective waxing. Clean & Easy's Lavender Moisture Absorbent Powder is super fine, making it perfect for absorbing any excess oil or moisture on the skin before waxing which helps the wax grip the hairs better and prevents breakage. 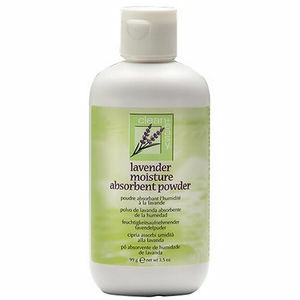 The soothing properties of lavender help to prepare the skin for waxing and give the powder its wonderful smell. Comes in a 99-g bottle. £3.66 (inc. VAT) Why no VAT? We're a trade wholesaler and quote our prices without VAT to help our VAT-registered customers understand the true cost of a purchase. Orders going to addresses within the EU VAT area will have VAT added to them at the checkout. Hurry, offer ends Monday night! * Excludes furniture & college kits & cannot be combined with any other offer. Specially formulated to prepare the skin for waxing and help the wax stick to the hairs rather than the skin for a more comfortable and effective treatment. Comes in a 147-ml bottle. With a wax warmer, 3 types of wax, 4 bottles of pre- or post-waxing treatments and all wax application and hair removal equipment, this kit has all you need to get going with the Clean & Easy roll-on depilatory waxing system. Natural wooden wax applicator spatulas for application of pot wax and sold in packs of 100. Available in 3 sizes: Large (legs, underarms, bikini), Small (face) or Petite (eyebrows). Beautifully effective hard waxes that adhere firmly to hair rather than skin meaning there's no need for cloth strips. Ideal for sensitive skin with anti-inflammatory hemp seed oil. Reduced to clear! Last two remaining! Pack of 12 large wax refills formulated with clean+easy®'s original wax and the hydrating and anti-inflammatory properties of hemp seed oil. Ideal for large area waxing like legs and body. Provides clean, close removal of unwanted hair. Nobody's written one yet. Why not be the first? I just want to say "big thanks" for great customer service, my delivery has just arrived, in excellent time and first class condition! Really fast service, I'm impressed. I shall definately shop with you for all my future orders! Products well priced with excellent delivery and great notification of expected delivery date/time too. Very impressed. Great service, reasonable prices excellent delivery time...can get products here that are not available at our local wholesalers. I have been a customer of Coolblades for some time and have always found them reliable and good value. They have a great variety of products, reasonable prices and quick and helpful delivery and customer service.